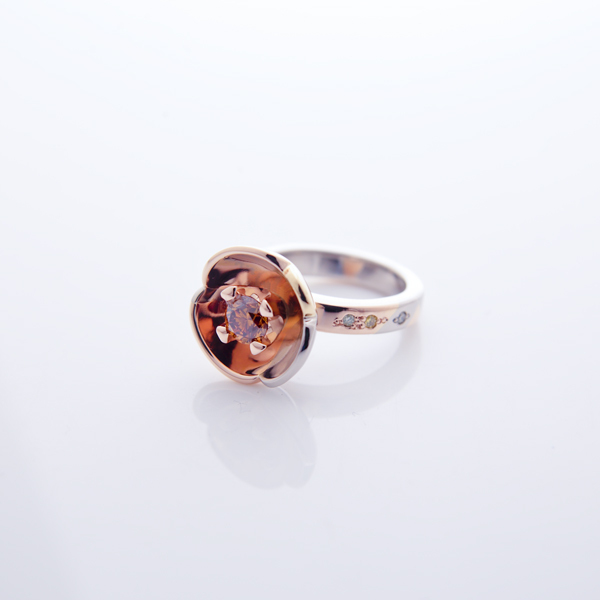 A brilliant burnt orange diamond set in a polished bowl of 18ct rose, white and yellow gold’s. 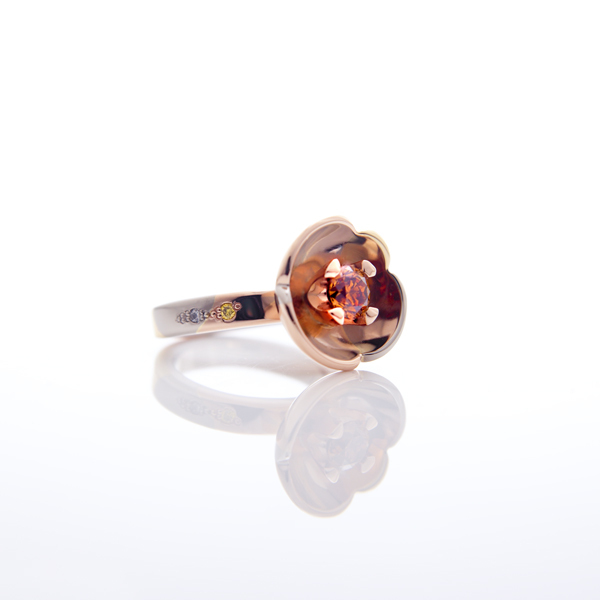 Little coloured diamonds grain set in the narrow inlayed band. The glowing reflection of the beautiful orange diamond in the polished bowl is mesmerising and although the scale of this stunning engagement ring is quite generous the warm golden tones will never overwhelm your hand.